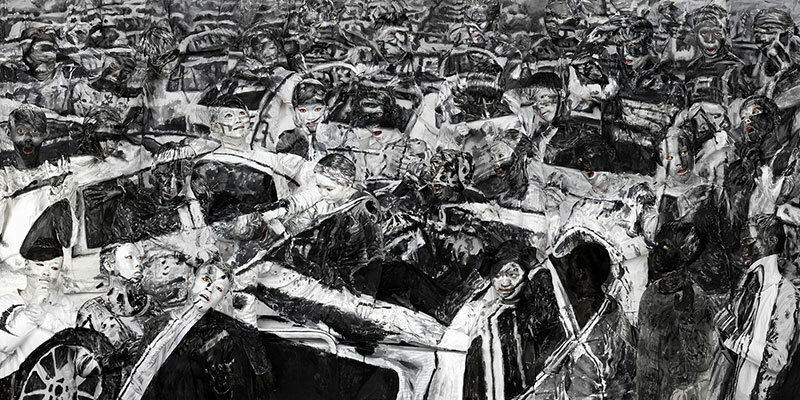 Chinese performance artist Liu Bolin, known for painting himself into different landscapes, has a new series that consists of appropriations of classical Masterpieces—da Vinci's Mona Lisa, Picasso's Guernica—juxtaposed with a photograph of the devastating impact of the Tianjin explosions. Using complicated and precise hand-painted camouflage, Bolin painstakingly recreates these images with scores of human subjects as his canvas. In Mona Lisa, he embeds himself into the masterpiece as well as its historical legacy. Touching upon the fact that the work was stolen from the Louvre more than 100 years ago, he aims to reenact the “disappearing and reappearing” of the work through techniques behind the network. In Guernica, Bolin recreates the imagery of human suffering and devastation of war symbolized by the painting in a plea for humanity and freedom. On view at Klein Sun Gallery through December 23. 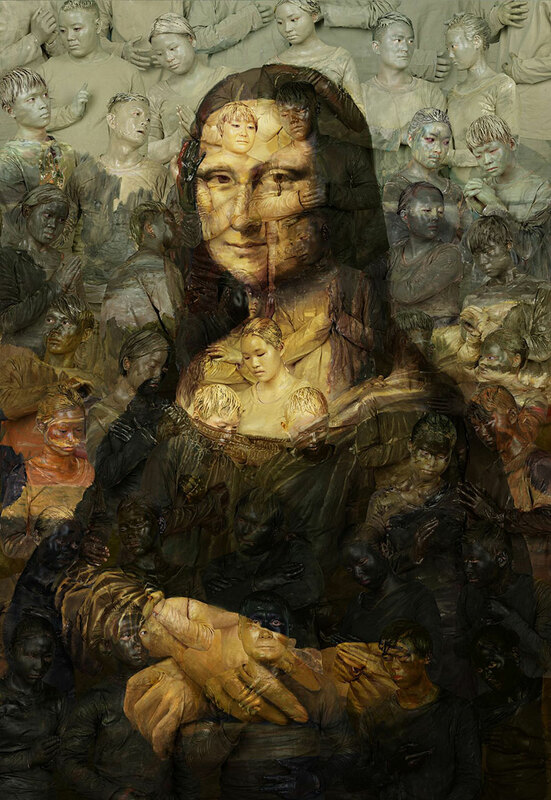 Chinese artist Liu Bolin, known for painting himself into different landscapes, has a new series that consists of appropriations of classical Masterpieces—da Vinci's Mona Lisa, Picasso's Guernica—juxtaposed with a photograph of the devastating impact of the Tianjin explosions.